Buying pre-owned is a great way to get behind the wheel of an affordable luxury car. The Honda of Atlanta used car dealers have a beautiful selection of pre-owned luxury vehicles and quality used cars for sale. We receive inventory from the Ed Voyles family of dealerships which offer a wide variety of auto brands including many luxury cars and SUVs. 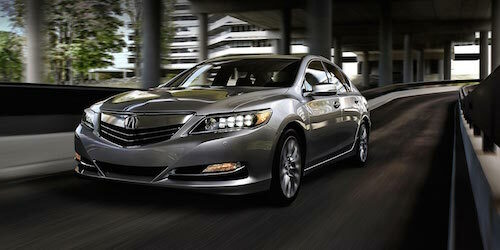 At Honda of Atlanta you will often find luxury brands such as Acura, Lexus, Mercedes-Benz, and BMW, just to name a few. Many of these are just a few years from production date and have low mileage. If you have always wanted to drive a luxury vehicle, buying a pre-owned model is a great way to get your dream car for a fraction of the cost. Our used car dealership offers affordable auto financing and can help you find special offers for the best deal on a used luxury car. Even if you have bad or no credit our auto financing experts can help you arrange affordable monthly car payments. There are usually remarkable savings to be found with our monthly used car special offers and dealer specials. Be sure to ask our friendly sales team about any pre-owned luxury car mark downs. If it is time to drive the car you have always wanted, we invite you to browse our inventory of Atlanta used luxury cars then come in for a test drive.